We have received official document from credible source that shows a certain Colonel Tesfaye, has been assigned as coordinator of a 'command post' established to crash ‪#‎OromoProtest‬ in Oromia regional state. The 'command post' is made up of 9 people. Muktar Kadir is assigned to lead the 'political response', while the mysterious Col Tesfaye has brought all security entities under his command. Below is list of members of the command post. Strangely only this Colonel is listed without last name. In fact every source we asked so far says he is simply addressed as Col. Tesfaye. 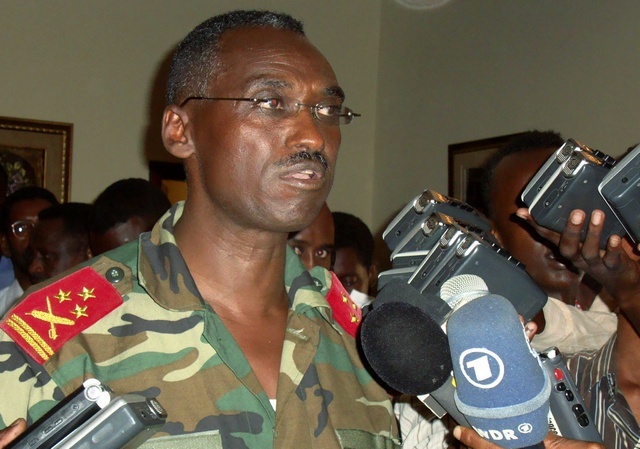 However our sources say he is a veteran TPLF commander within the military intelligence unit. We have evidence that Col. Tesfaye authorized the use of lethal force against civilians during the Ambo protest. As our legal professionals prepare to take the matter to appropriate human rights court, we need to gather as much information and evidence against those ordering and perpetuating the ongoing heinous crime against defenseless civilians. Lets start with Col Tesfaye. Please cooperate with us in identifying this person by sending us pictures, his middle and last name, place of birth and current residence, details of his family, past involvement, source of wealth etc. Basically any thing and every thing you know about this guy will be helpful to launch full investigation into his criminal activities. We will post his picture and other bio data as soon as we receive it in order encourage inflow of more information. In addition to Col. Tesfaye, we need as much information as possible on each of the above mentioned individuals. Please send us their mobile and house phone. We promise to make available to public so that they can hear your concerns and complaints. Also if you know them personally or related to them, give them last warning. They will be held accountable for every violent action perpetuated under the leadership this command post. We have let it slide when those participated in past human rights violation ran away and took asylum in our midst. After consciously participating in such crime, they should not expect asylum when TPLF throws them out like their predecessors.